German journalist Raphael Honigstein is increasingly confident that Jurgen Klopp will remain at Liverpool for the foreseeable future. The Reds’ boss has inspired consistent progression since taking over from Brendan Rodgers as manager in 2015, restoring the club’s reputation as one of Europe’s elite forces. His most notable achievement arrived last season when he led Liverpool to the Champions League final in Kiev, where they were later beaten 3-1 by Real Madrid. He has also reached League Cup and Europa League finals during his time in charge, not to mention securing successive top four finishes in the Premier League. Under his management, Liverpool now find themselves firmly in the race for a top-flight crown that has evaded them for 29 years and facing a Champions League Round of 16 clash with Bayern Munich. Despite speculation linking Klopp to Bayern, Honigstein believes he is far from finished at Anfield. Only now does Klopp seemingly find himself working with the kind of squad he would have envisioned having at his disposal upon arriving England. The club’s substantial investment in high profile personnel is indicative of the former Borussia Dortmund man eyeing further development as part of what always promised to be a long-term project. Having propelled Liverpool back to a place among the continents top sides, his task is now to ensure they stay there. He also promises to play a critical role in helping oversee the integration and improvement of several young prospects vying for first team futures at the club. 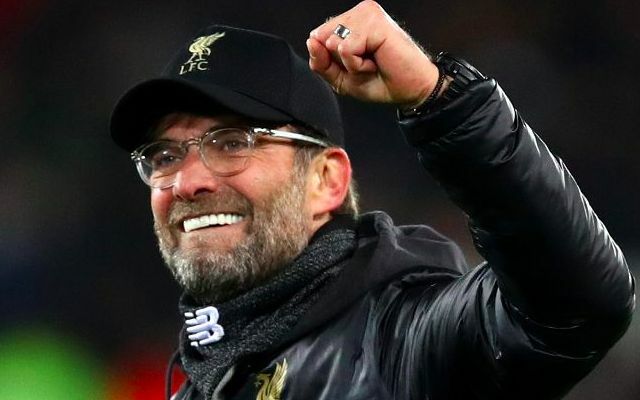 The 51-year-old has often spoken of the possibility of him ending his managerial career earlier than most and already has an agreement with his family to take a one year break from football following his eventual Liverpool departure. Nonetheless, he doesn’t come across as the kind to leave a job half done as is perhaps the case on Merseyside.